The Olympic flame was extinguished and the party within the stadium began full-on as the 2016 Olympic Games in Rio de Janeiro came to an end. Yet as athletes were celebrating, one U.S. Olympian put another history-making stat in the book. Four-time world champion Simone Biles became the first female gymnast and black woman to carry the U.S. flag in the closing ceremony — an honor rightfully deserved. In her Olympic debut, Biles won team and individual gold medals in the women’s all-around, vault and floor exercise, and added a bronze on the balance beam for a total of five medals. She became the first American gymnast to win four golds at a single Olympic Games and one of only four women to accomplish the feat in Olympic history. “This experience has been the dream of a lifetime for me and my team, and I consider it a privilege to represent my country, the United States Olympic Committee and USA Gymnastics by carrying our flag,” Biles said in a statement after she was chosen as flag bearer. Biles’ accolades include 18 individual medals in world and Olympic competition over the last three years. 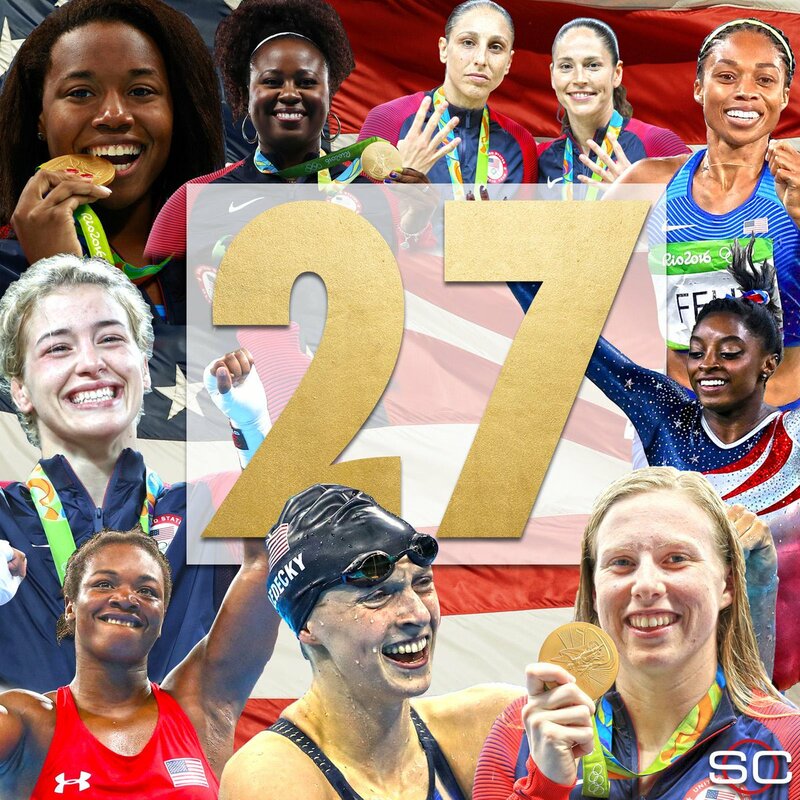 She joined other U.S. women as they took home 27 gold medals overall. The closing ceremony ended two weeks of fabulous performances by U.S. athletes. The United States dominated the overall medal count with 121, finishing first overall in each category, while racking up 46 gold medals, 37 silver and 38 bronze. 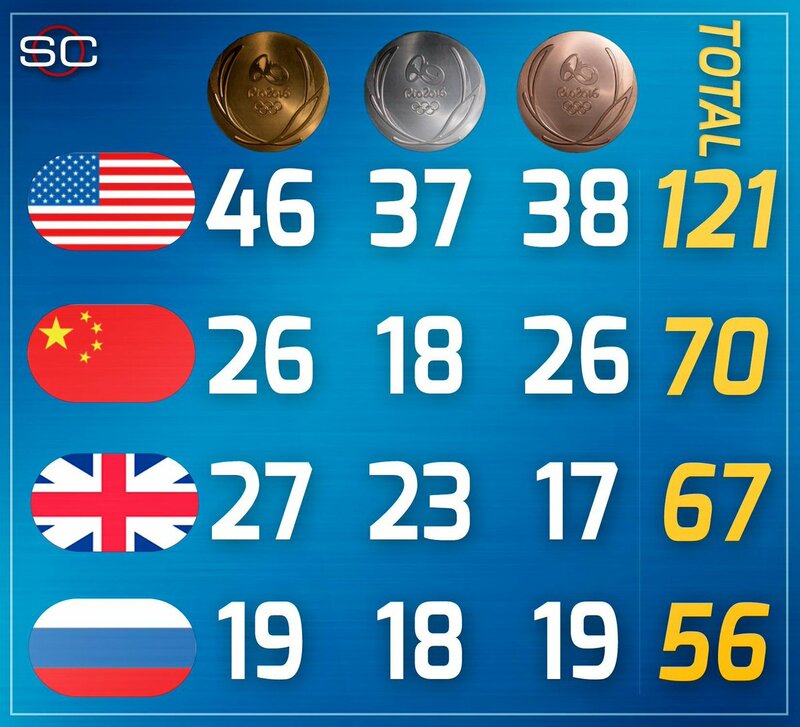 China collected 70 medals overall, while Britain had 67. The 51-medal margin over runner-up China is the largest in a non-boycotted Olympics in nearly a century. The U.S. men’s basketball team captured the country’s final gold medal after a 96-66 blowout of Serbia. It was Mike Krzyzewski’s final game as the U.S. Olympic team’s coach. “Coach K” is the first coach to lead three gold medal-winning Olympic teams. 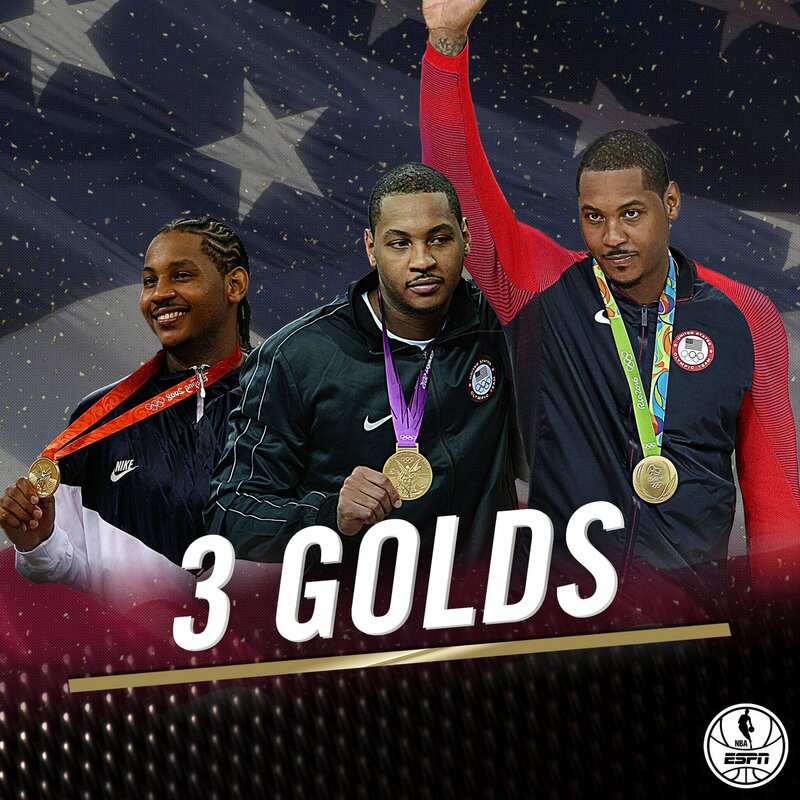 Carmelo Anthony walked away from the Olympics as the first man to win three basketball gold medals. Claressa Shields became the first American boxer to win two gold medals. The 21-year-old Flint, Michigan, native earned a unanimous decision over a Dutch fighter to wrap up back-to-back middleweight golds. Shields lifted her Olympic record to 6-0 and stayed unbeaten since the 2012 London Olympics, having also won two world championships and a Pan American Games title.